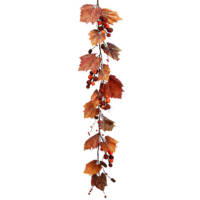 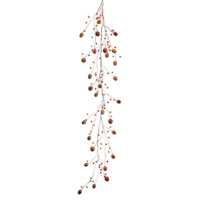 You must add a minimum of 2 48 Inch Faux Pumpkin/Gourd/Grape Leaf Garland's to your cart. 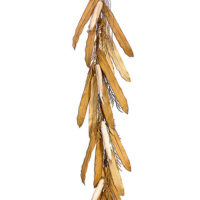 No doubt green space is good for calming the mind, rivaling a return to nature and inspiring peace in the home. 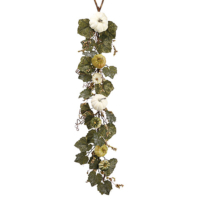 Bring some green from the outdoor in with Amazing Produce selection of silk garland to create the scenery you desire. 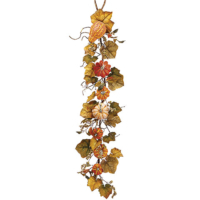 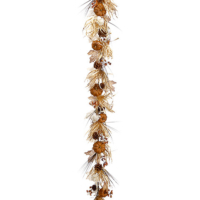 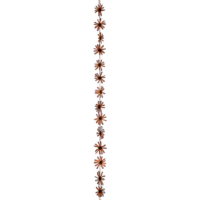 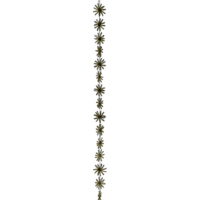 Take your wilted fall garland off your door and swap them with our silk garlands. 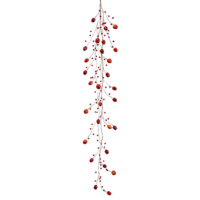 In addition, garlands are a total must-have for the Christmas holiday season. 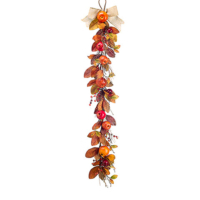 If you are going to host some holiday party at your home and calling your friends or family members, our artificial garland can be the best choice to decorate your home quickly. 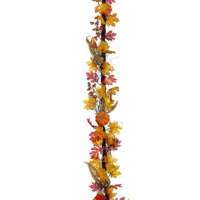 Therefore, we make this fake garland with the quality material that is great for long term use. 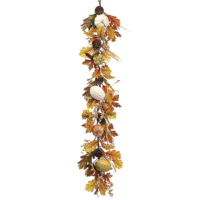 In conclusion, we offer the best quality faux garland that will make your decor colorful.